By reason of the exceptional development of the internet, nature and traditional ways of doing business and e-commerce have been changed noticeably. E-commerce has achieved huge popularity and expanded around the world in the past few years. In the present day, E-commerce allows everything to be done online from buying to selling. There are a number of major differences why e-commerce stands out from traditional way. Ease of use, user-friendly, anytime access, global reach, information density, global standard etc makes it unique. Today, E-commerce or Electronic Commerce has developed into a major force around the world. E-commerce Technology has extended their branches in all business market sections. It is certain that E-commerce has formed a marketplace with major benefits through some unique features and these features set e-commerce apart from more traditional ways of carrying out business deals. eCommerce has grown tremendous in past 10 years. This has also helped many enterprise eCommerce platforms to get matured and make business life much easier. Now you have many eCommerce tools that can be used conveniently. E-commerce is an activity that carries out electronically on the Internet rather than at a physical site. The capability to buy and sell products easily across geographic limits is a big benefit of eCommerce technology and customers from anyplace in the world can do purchases once they gain access to the site. E-commerce is not restricted by geographical barriers. At present, an e-commerce business can effortlessly sell its products to customers living in any part of the country and world. A traditional business market is a physical place but E-commerce is everywhere that means it can be accessed from anywhere in the world. E-commerce companies actually go after their customers and therefore, the customers can reach at e-commerce companies anywhere they go. E-commerce shopping can be done even when the consumer is on a trip, bus, car, train or flight. One of the most effective advantages of e-commerce is that it may save energy. In the traditional ways, customers have got to drive to stores in order to buy their required product. So, it consumes your energy and fuel a lot. But when you go after e-commerce, it reduces the risks of going to the shops and helps you to use less energy. E-commerce offers you the facility to buy a product that you wish to buy from the comfort of your home by means of using your laptop or any other tools. E-commerce can lessen costs for customers as online business companies cut down charges and taxes imposed in the process of distributing goods, warehouse space to store the goods and personnel operating cost. Since there is a high voltage competition between the online companies, the customers can enjoy great discount offers. So, e-commerce reduces the costs one way or another. Global reach is another plus point and unique feature of ecommerce. E-commerce allows business transactions to be done across countries more conveniently and successfully. Technologies inside e-commerce flawlessly extend across traditional cultural and national boundaries and make possible universal access. Global reach indicates the number of possible customers a business can reach especially through the way of high levels of global Internet connectivity. E-commerce technology has grown a lot and many good tutorials and resources are available for business owners and online shoppers available for free. At the same time, there are also some good e-commerce books that anyone can use to become an expert at eCommerce technology. One of the most important unique features of ecommerce technology is its universal standards. There is a set of technological standards in eCommerce business. The customers can come across one set of technological, media and Internet standards to make use of eCommerce features. As a result, universal standards assist make things easier especially the interactions. Universal standards denote that e-commerce functions on standard platforms with established methods and systems. Ecommerce helps in saving time. E-commerce is simple and the customers can carry out the business deal soon then the traditional form of business deal. Consumers can buy any product they wish to buy from their home, office and even while having their coffee. As a result, by making use of eCommerce, consumers save lots of valuable time. So, use the facilities offered by eCommerce rather than wasting time by choosing traditional sort of shopping. 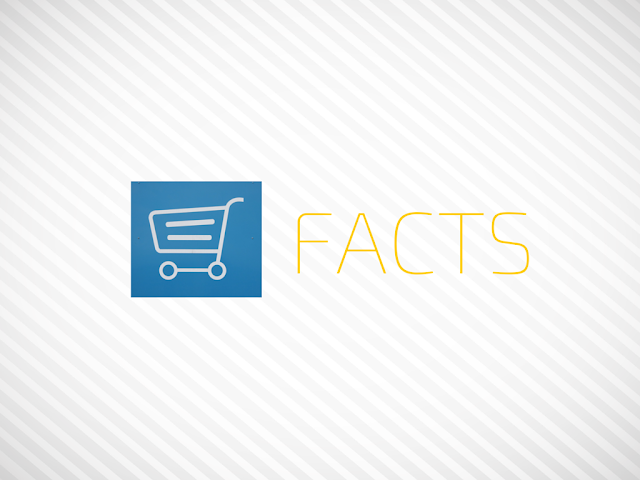 The use of ecommerce decreases the cost to store, process and converse information. The entire amount and quality of information accessible are greatly increased and are cheaper to deliver. E-commerce indeed reduces information costs and at the same time increases quality. While going on with eCommerce, a client can have entrance to a huge range of personal records and the eCommerce technology can store an enormous quantity of information as well. Information richness is another major advantage and unique feature of ecommerce technology. The consumers can access and use text messages and visual and audio modules to send and take delivery of information. The clients are also able to save their audio, video, sent files, received files or data in their user account. It gives a rich informational experience. The eCommerce technology allows personalized marketing messages to send to individuals and groups. E-commerce technologies allow merchants to aim their marketing notes to a person’s name, interests, and past buys. Merchants can adjust the product or service centered on consumer preferences. Products and messages can be personally targeted in a well-organized manner and it indeed saves lots of time and enhances the possibilities for sales. Ligia Blake specializes in content writing and works for essayscouncil.com, a custom essay writing service with a passion for helping out the students with their writing Excellency and ability. Also, contribute as a freelance writer for different blogs. Updated October 2016 : Fixed minor typos and removed broken links.